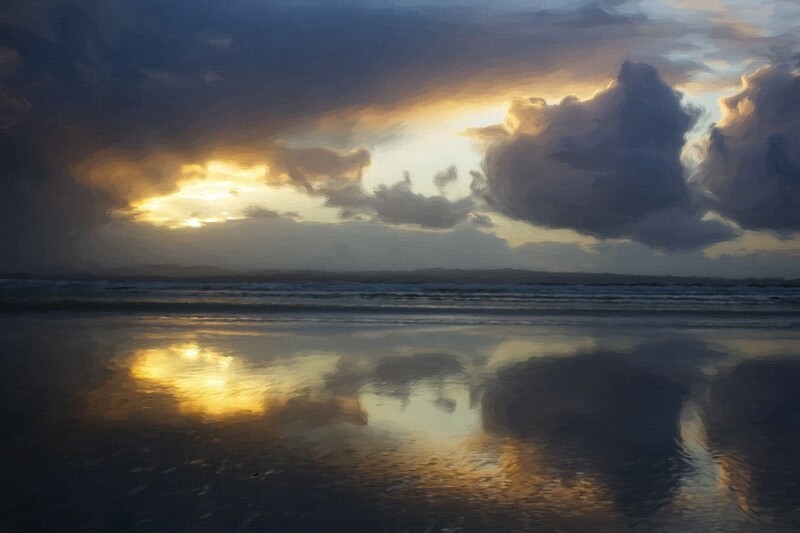 A couple of the folks who commented on Days End at Enniscrone noted the sunset shots looked a bit like paintings. That seemed like an open invitation to run them through a program that puts a painting look on digital photos. Hope you like ’em. Some photographs have indeed the quality of a painting. But your photo editor did a fine job in the conversion, Dave! Have a pleasant evening! Thanks, Peter. It was just for fun. That first photo astounded me. Thanks, Cindy. It was a pretty dramatic sky, technology did the rest. I think I’d heard of this Turner fellow, but never figured folks would compare any of my stuff to his. Quirk of nature, I guess. Lovely! Photo editing is a lot of fun, and you’ve done a great job! Virtual paint. Kind of cool, and the only way I’ll ever be able to “paint” any reasonable picture. Been meaning to ask, how do you get it so the photo enlarges if we click on it? Is it a code you write or something you do when you upload it into your media file? It’s pretty straightforward really, you just set it up as a link in a similar way you do for text. In the editor, select the picture, then click on the insert/edit link icon (the one that looks like a chain), then click the Open link in new window/tab box. You don’t have to pick a blog post from the existing content list, you’ve effectively done that when you selected the picture. Click Add Link when you’re done and you’re good to go. I like them! The colors add to the painterly look. They do have a painterly look. And the result is lovely. 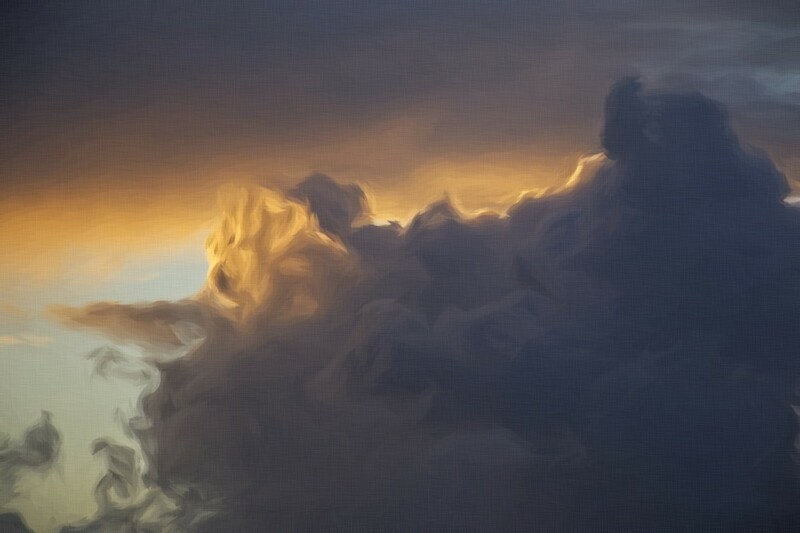 I particularly like the last one where the “brushstrokes” adds to the movement of the clouds in a very dynamic way. I wish you a happy holiday season, Dave. Interesting, what you can do with software these days. Sorry for the late response, Otto, I stepped away from blogging for a few weeks, but am now getting back on the horse. Hope your holidays were enjoyable. No reason for excuse, will all need to step away from blogging from time to time—like I do at this very moment. I wish all the best for the new year.